Auto motor und sport goes back on the history lane to check three six-cylinder AMG cars with mass market aspirations. They may only play the second fiddle compared to their bigger V8 counterparts, but they are much more than mere line-up fillers. 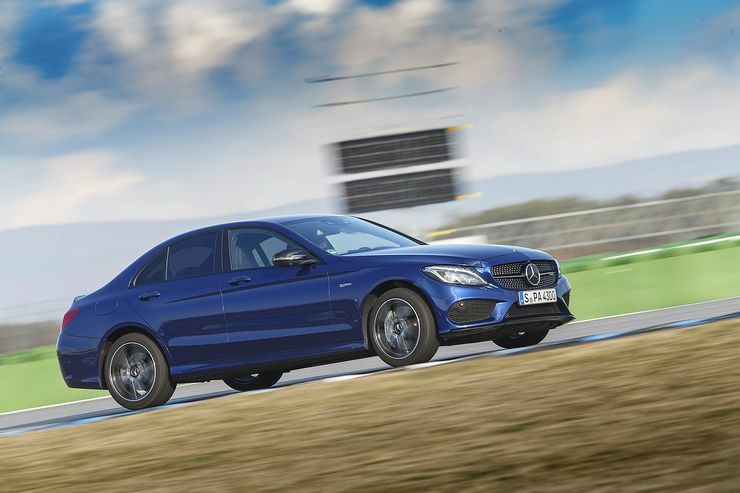 Six-cylinder and AMG seem like two very distant notions. After all, the brand’s core must be the more glorious V8 configuration, the very nucleus of the company, its backbone and, above all, the heart. That was the case, but things changed over the years thanks to legislators who come up with stricter emission limits. 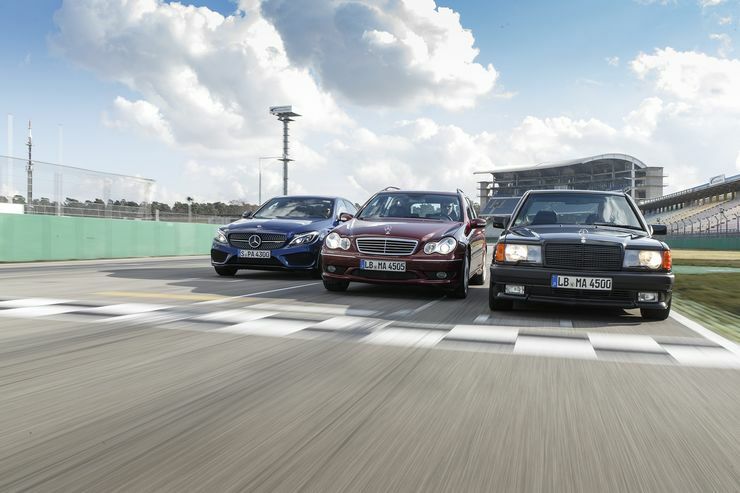 Today the six-cylinder is powering more than a dozen AMG model versions and this success story started with a small series based on the W 201 Mercedes 190 E.
The basis of the V6 AMG Baby-Benz was the 190 E 2.6, modified by AMG engineers to house the six-cylinder from the 300 E – a comprehensively modified version of it, of course. The series crankshaft was replaced by a counterpart from the 300 E diesel with more stroke. In addition, AMG enlarged the bore, exchanged pistons and connecting rods, mounted a sharper camshaft, polished the intake ports and increased the compression. The result? From 3206 cmc AMG extracted 234 hp and 305 Nm, far more than in the 190 E 2.5 16V Evo II, that DTM offshoot with an XXL wing and hero status. The 190 E 3.2 AMG adopts a more understated design direction with a darkened grill, a rear spoiler essay made of cuddly plastic, 16-inch polished alloys and black paint. Sportiness is not the main mission of the Mercedes 190 E 3.2 AMG. The steering is not very direct, while the chassis with ingredients from 300 E and 300 T may either be taut or unstable, but in absolute terms it is neither. Even the four-speed automatic transmission is rather slow. At start, the converter slip effect is easily felt and it takes so long to downshift that any momentum seems irretrievably lost. 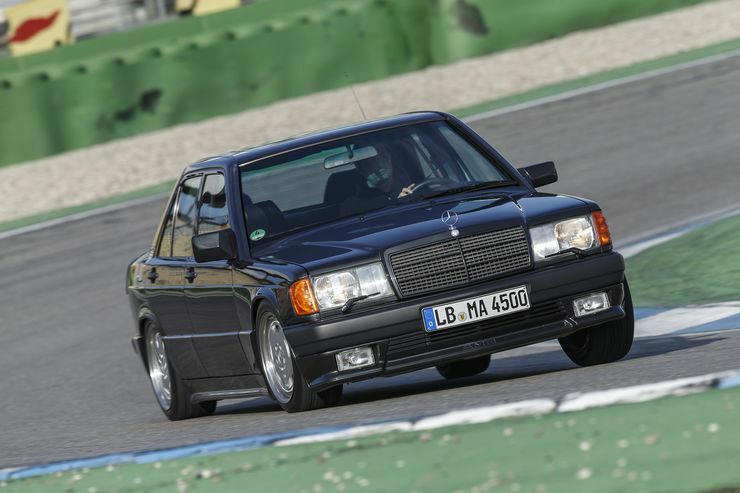 But, if you tackle the 190 E 3.2 a bit more calculated, you could stumble upon a kind of dynamism – so to speak, the first traces of an early form of what AMG driving performance of today is. The first thing is to find the turning point – not the turn, but the one where the car actually begins to turn. Once you get there, the sportiness is built up. Slowly but surely. The tires grip and finally the rear-wheel drive participate in building dynamics. Result: a neutral handling, as it hardly exists today. After approximately 200 copies Mercedes pulled the plug on the strongest and most exclusive of all 190s. 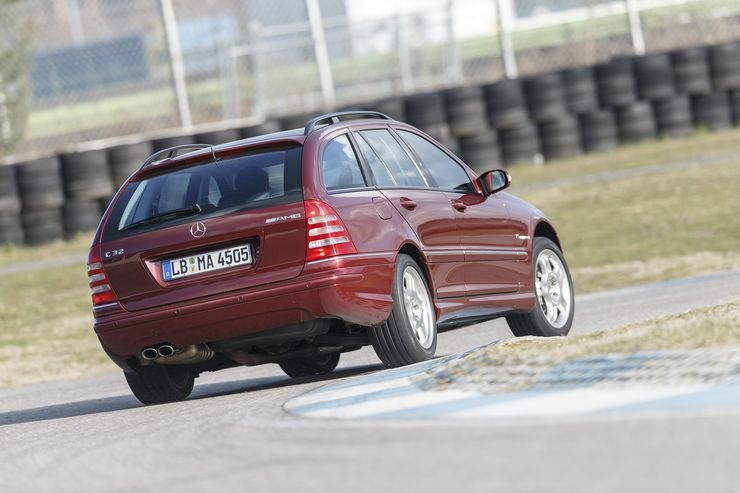 The C-Class was already in the starting blocks, a model series which made better use of the AMG six-cylinder engines. The W 202 series received a 280 hp 3.6-liter initially, latter replaced by a V8. But, with the AMG version of the subsequent W 203, the six cylinders were back in V6 configuration together with a new hero: the compressor. The Mercedes C 32 AMG (here in T-Modell guise) not only promised more delicacies than the previous naturally aspirated engines, it also sounded a little bit like glorious Silver Arrow Mercedes from the past. The 354 hp and 450 Nm under the bonnet sometimes feel a bit much for the red estate here with double spoke wheels, rocker sills and an aluminum insert under the tacho. Maybe its biggest attraction in the end is this sheepish appearance, because when driven hard the station wagon is far more drastic than it looks with its strong voice, strong pulling power. Very nice! And even if the torque converter is not overtly sporty again, it works in contrast to its ancestor automatic in the 190, better managing the power development. Curves, however, remain distant friends. The steering is dim, the suspension always strives to find its balance, and because a differential lock is missing, when hard accelerating the high torque cannot be filtered properly to the road through the unloaded rear tires. Six-cylinder AMG cars only became seriously dynamic when the current C-Class (W 205) came to market in C 43 guise. With three liters of displacement, the V6 biturbo engine is the smallest of all AMG six-cylinder engines to date, but with 367 hp (390 hp after the recent facelift) and 520 Nm, also the strongest. The C 43 he goes really well around the corners and this is remarkable in view of its mild-romantic ancestors. This is all due to the combination of the rear-wheel-drive biased 4Matic system. The C 43 impresses with the perfect mix of traction and power, the fast automatic gearbox (7-speed, 9-speed after the facelift) and plenty of feedback. It may sound heretical, but compared to the rear-wheel drive C 63 with its big V8, such a C 43 sometimes seems much more coherent. Although it will not become the core, heart and backbone of AMG, the six-cylinder has become a mainstay in the line-up.